I have always known how fortunate I am to have a family that loves and cares for me. Every time I’ve been sick or had major surgery my mother, mother-in-law and sister have come to care for me. Their presence has allowed me to heal knowing that my family and household are being taken care of in a way that is nurturing and respectful. They are all hands-on caregivers, helping me dress, doing laundry, preparing meals, shuttling kids around, all the things they know I would do if able. My sister Julie has also come when I’ve needed her simply by my asking. There was a time when we were both in college and I had just broken up with my boyfriend of two years. A dance that I thought I was going to attend with him was coming up and he was bringing his new girlfriend. My pride made me determined to attend the dance, but I needed back up. All of my friends were attending with dates and I didn’t want to be an add-on to their evenings. Julie took the bus from Boston to Providence and came to the dance with me. She understood without explanation why I needed her there. Going to the dance was about proving to myself that I wasn’t going to allow anyone to make me feel that I didn’t deserve to be present. Just having her there allowed me to move past my self-consciousness of feeling alone. It also allowed me to sneak glances at the girlfriend while proving to myself that the world didn’t end because of the break-up. A problem that at the time seemed so monumental. Thank God for youthful ignorance and invincibility. My past shows me that asking for help is something I do after much consideration. My “self” never allows me to slip too far before I reach out and ask for support. Right after Jordan died, as October and November came and went, Christmas was approaching and I had no idea how I was going to make it through the holiday season. Mark and I both said that if it were just the two of us we’d probably go someplace far from home and come back when the holidays were over. Our children however, looked to us to provide continuity and reassurance that our world would keep going. I knew I had to provide those things, but I didn’t know how I could with grief weighing so heavy within me. The albatross that most exemplified my unyielding sorrow was my dining room table. It was cluttered with plastic ware and covered containers from the weeks after Jordan died. The dishes needed to be returned to those who had dropped off food at our house. The table also held the guest book from the Memorial Service as well as cards and letters of condolences mixed in with mail Mark and I hadn’t been able to sort through. There were two large poster boards leaning against the wall in the dining room that we’d displayed at the Memorial service. They held pictures of Jordan and messages family and friends wrote on them after the Memorial service. When I would pass through the dining room I would usually avert my eyes not able to take in what the table represented. Occasionally I would sit in one of the chairs and pick up a pile of cards and letters attempting to sort through them. I would sit and stare for a few moments as I felt myself becoming agitated. I would sigh heavily and shake my head as I left the room. I couldn’t do it. I was overwhelmed by all the reminders of loss that occupied the table yet I couldn’t move past the vestiges of the Memorial Service. Clearing off the table meant moving on and accepting that we would have our first Christmas without Jordan. How could Christmas come to our house without Jordan? I was so conflicted. I wanted to be able to walk through my house without averting my head at what to me represented my failure to move on. My cluttered, filled with reminders that my son was gone, dining room table needed to be readied for the holidays and I couldn’t do it. When I asked my sister if she could come for a few days to help me she said simply, “Yes.” She understood without explanation my need for order. She didn’t try to tell me it didn’t matter what the table looked like. She knew me and knew what I needed to ease my mind. I knew she would help me handle the task in the way that would be gentle and spare me as much pain and anguish as possible. Julie came for three days before Christmas and in that time made a spreadsheet of all the addresses Mark and I needed to send thank-you notes. She found boxes for all the cards and letters that I wanted to keep and put them in a closet where I could easily get to them, but they were out of sight. The day that she left, like someone from a design show she brought up candles and other decorations from my basement and transformed my dining room into a place of beauty. A place I could walk through without trying not to see all the reminders of death that had been in the room. I hugged her tightly when she left saying, “Thank you” but meaning so much more. She took care of me without judgment. I am again in a place where I feel so close to breaking. My sister asked me the other day how I was doing. I told her I was hanging on by the thinnest thread. With my simmering worry about Merrick being away for 6 weeks, Mark travelling frequently for work and my daughters needing me to help them navigate their grief I feel broken. . Weariness has set in; being caretaker and receptacle for my children’s grief as well as my own has taken all of my energy. My mother and sister heard the weariness in my voice and their love for me is bringing them for a visit. They’re coming today. They’re coming to as my mother said, “Lay eyes on me and take care of me for a few days.” They made the decision to miss our 52nd annual family reunion, even thought they’ve paid for all the events. I had my moments of guilt. I didn’t want them to miss seeing all of our relatives and my mother presiding over our family meeting. I told Mama I’d be okay even though the conversations she’d had with me in the last few days indicated otherwise. Mama simply said to me, “I’m doing what my instincts tell me to do.” She then asked me was there anything she could bring me? Through tears all I said was, “I just want you to cook for me and take care of me.” Relief surged through me as I felt the weight of caretaker being eased by my mother and sister. My mother and sister are coming today to embrace and love my family. My mother will cook all our favorite foods. As I rest in my room with vigilance abating I know I will hear the sounds of my daughters playing endless games of Uno with their aunt and “Oma”. They will laugh louder and longer than they have in a long time. Mama and Julie will sit with me on my front porch and listen without judgment or advice as I unburden myself, letting them in on how grief is working within me as Jordan’s 21st birthday approaches. They are coming to take care of me and I’ve never been more grateful. Just knowing that I can let my guard down for a little while and rest because they are here is my blessing. 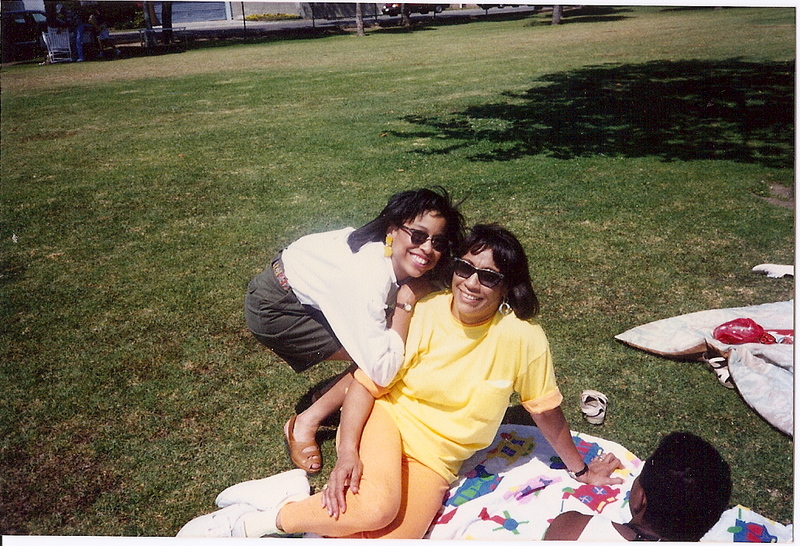 Mama and I when I lived in L.A. When Jordan was in 6th grade he read a biography of Grant Hill and Grant became one of his heroes. Jordan liked Grant Hill’s work ethic, his generosity and athleticism. In Jordan’s mind, he was the consummate student/athlete and Jordan wanted to emulate him both on and off the court. I liked the parts of the book that Jordan read to me which talked of Grant’s mother and her strictness. The book talked of how Grant was teased by his friends because he couldn’t do all of the things his friends did and had a stricter curfew. According to the book Grant’s friends called his mother the “Sergeant” when he was in junior high school and she was promoted to “General” by the time Grant was in high school. As Jordan talked about the book I told him I liked Grant’s mother’s style. I always told him to expect the same from me that Grant expected from his mother. The times that Jordan especially as a teen pushed the limits on his curfew or started a sentence with, “But all of my friends can,” I had no problem being the strict mother within his group of friends. I always told Jordan that as he got older he would be allowed greater freedom and responsibility. I would sometimes remind him of Grant Hill by saying, “It worked for Grant Hill, and it can work for you too.” He would roll his eyes and storm off but I felt comfortable in trusting my instincts for my children’s futures. Grief colors every part of my world and I’m not the same person I was before October 12th, 2008. I have declared repeatedly that I will always be the mother of four. 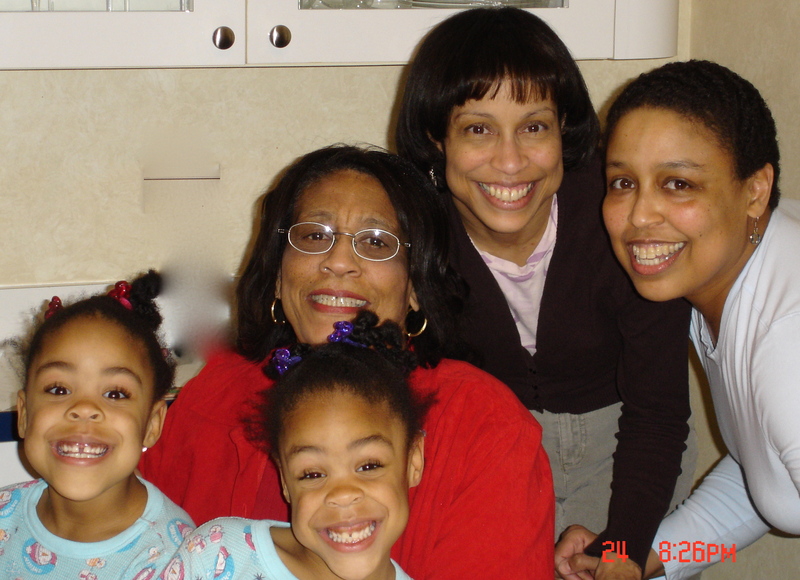 While I grieve the loss of my oldest child, my three living, learning, playing and mourning children need their mother. There are days when I’m here for them, and I’m not all at the same time. Numbness still lurks at the edges, and sometimes seeps in to share a place inside of me with grief. Guilt has overtaken me many times as well. Especially times when I realize that I forgot to check over a homework packet for my 10- year old twin daughters, or that my 17- year old son had a test and I didn’t quiz him, the way I used too before Jordan died. For the first time since I’ve been a mother, I forgot about Easter baskets. Seven o’clock at night on the Saturday before Easter and the notion of our usual traditions hadn’t crossed my mind. I was exhausted from our spring break vacation. The suitcases lay in Jordan’s room still packed. Lupus had taken any energy I would normally have away. I was in the middle of a flare and was having trouble understanding how to make room for my chronic illness when my chronic grief was also flaring. Thoughts of college basketball, Easter Sunday, Spring break without Jordan were all swirling around in my head. How dare my body also betray me? I felt as if the marrow has been sucked from my bones. Rest is the only real remedy for fatigue that takes a stranglehold on my life but guilt at feeling neglectful wouldn’t let me rest. I tell myself that being forgetful and not having the same attention to details as I had before losing Jordan is expected. My self-critic however is harsh and adds more doubt to whether I’ll trust my maternal instincts again. Even as I try to reprogram my instincts, sorrow clouds my judgment and makes me doubt my decision-making abilities. I was in Walgreen’s with my daughters the other day and stood chatting with a friend as my daughters perused the magazine section. As my girls came over to me I saw a lump behind the ear of one of them. How had I missed a marble sized lump? I finished up my conversation with my friend but my mind was already calling the doctor to schedule an appointment. I have a veneer of calm but inside of me a panicked voice is saying, “Please don’t let it be anything serious. Her gland is swollen and she doesn’t have any other symptoms. What if she has cancer?” When we see the doctor the next day, she assures us it’s nothing serious, just as I had assured my daughter the night before. She asks my daughter to wait out in the waiting room so that she can talk with me for a minute. Marian, our family physician, and I have been friends for a long time. She looks at me and says, “You thought it was cancer didn’t you?” With tear-filled eyes I shake my head yes, not trusting my voice. She goes on to tell me that if she thought it was serious she would be running tests and scheduling biopsies. She knows that my greatest fear is that I’ll lose another child. Even as she tries to calm me by saying, “You’re not going to lose another child,” my vigilant part is whispering, “No one can tell you that.” I needed to hear her words though, as a counter-action for the fear that resides in my heart. I know living with the fear of losing another child occupying such a large part of me is not good for my family or me. My vigilant part stays on high alert. When the girls walk the dog, when my son is late coming home, I tell myself everything is fine, but I don’t fully breathe again until I see them and hear their voices. Now with Merrick away for the summer what I thought was my most vigilant self has been pushed to a more extreme level. Nothing that happens with my kids feels routine. Taking my daughter to the doctor exposed how fully my greatest fear has taken hold inside me. I walk around attending to chores, errands and even fun with a wariness that is exhausting. I know I can’t continue living and behaving this way. I am consciously trying to regain my balance. It’s so hard to feel centered when at the edges grief, vigilance, anxiety and sorrow pull at me and demand attention. Right now I’m reaching out to family and friends to help steady me as I relearn my balance, especially on the days when I sway so far from center that it feels like I can’t recover. Slowly ever so slowly I’m taking deep breaths in and exhaling fully. I’m trying to learn to do the best I can without so much fear, breath-by- breath. The tether sorrow has on my heart isn’t quite as tight as it was in the months right after Jordan died. I can physically feel the progress being made as my mind and body make the shift towards acceptance that Jordan is really gone. As I feel myself leaning toward acceptance, just as quickly, I feel myself trying to stop the progression. Acceptance is still too big of a message for my heart to hold. Most of the times when I remind myself to, “Feel what I’m feeling” it is in response to sad and painful emotions I experience bubbling inside me. It has been easier to allow myself to feel grief than allowing myself to feel excitement or happiness. 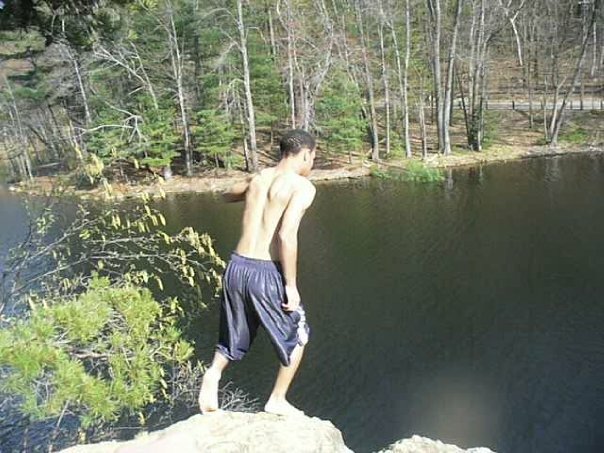 Accepting too much joy in my life seems like distancing myself from Jordan and his memory. Time has taken on a different dimension. No matter how many days I watch go by since Jordan’s death I don’t want to measure losing him in days. I know it’s been over a year since October 12th, 2008, but as twisted, as it seems to me, having his death be closer in time means his life is also closer to me in time. How can I ever feel joy that isn’t tempered with sadness if one of my children is gone? In spite of nagging doubts that time makes things easier, I keep going. I found myself two weeks ago feeling an emotion that has laid dormant- excitement. Mark had a conference to attend in Florida and as he told me the details, I realized I wanted to go with him. I felt excited and as he talked, I quelled the impulse to admonish or question myself about my feelings. I impulsively called my mother to ask her if she could stay with our kids, before Mark told me all the details of the conference and before I could talk myself out of going. I wanted to go with him! I was allowing myself to “feel what I was feeling”, even positive feelings. Grief plays so many tricks and comes in so many forms. It’s as though I have a meter inside of me that will only allow in so much joy before a warning signal registers. I find myself proceeding cautiously not wanting to move too quickly into what looks like happiness. Since losing Jordan, I know how quickly happiness can be taken away. I was impacted by these cautious feelings as I prepared for my trip to Florida. One day as I drove to pick the girls up from school, I uncharacteristically had the radio on a music station and was singing along. I was taking in my excitement and relieved that I was still looking forward to my trip. As I approached a stop sign I heard sirens in the distance. All it took was the sound of sirens to turn my excitement into anxiety. Since the car crash that killed Jordan, I don’t know how to ignore sirens. I’m trying to learn to make them less powerful. For me sirens signal warning, danger, sickness, accidents, weariness, fear, longing, grief, crashes, tears, pain, sleepless nights, 5 instead of 6, Mother-heart loss. Sirens mean stop! I stop at a stop sign and take deep breaths, attempting to pull myself back on the path to the present. I remind myself that sirens don’t have to mean someone in my family is in danger. The sirens aren’t headed to the girls’ school. They are safe. Someone would have called me if they weren’t. Merrick is safe at home. I just left him. Mark is at work and I don’t need to worry. The sirens sound but I don’t have to bring them into my heart. I cling to my travel plans and shake off my fears as I pick the girls up from school. I know that I need time away. Mark and I are both so weary. This trip will be our first time away as a couple since Jordan’s death. I need to take care of myself even though it doesn’t come easily. Treating me, being good to me have always been hard even as I extol self-care to family and friends. A reminder I give out with complete sincerity is, “Be good to yourself.” I know it isn’t grammatically correct. My saying should be, “Be good to you.” Somehow having the word “self” in relating my wish of self-care to others makes it more impactful. Like most people, it is easier to tell others they should take care of themselves than receiving and putting into practice that same message. I told a friend of mine via email about my plan to go to Florida with Mark. She was excited for me and told me to pamper myself and get a massage. It’s not as though she was the first person to suggest a massage as a way to ease my stress and anxiety. I still have the gift certificate given to me by a friend for my birthday last March. I’ve gotten close to making an appointment, gone so far as picking up the phone to dial the number and then putting the phone down. I wasn’t sure if I was ready to be in such a contemplative silence, alone with my thoughts. My counselor has also talked to me about self-care asking me, “What are you going to do for yourself this week?” I tell her about the gift certificate and she always tells me what a good idea it is. The gift certificate continues to sit on the desk in our office, even as my back and neck hurt. Taking care of “self” does not come easily. In Florida I went with my impulses and scheduled a massage. Mark was in meetings most of the day and the pain in my back and shoulders was letting me know how beneficial a massage would be; especially when all I had to do was walk downstairs and have someone help me. In the locker room as I changed out of my clothes and into a robe for the massage, doubt came back to visit. I burst into tears in the changing room. My mind raced with so many thoughts, “What was I doing getting a massage? How would I handle the silence? 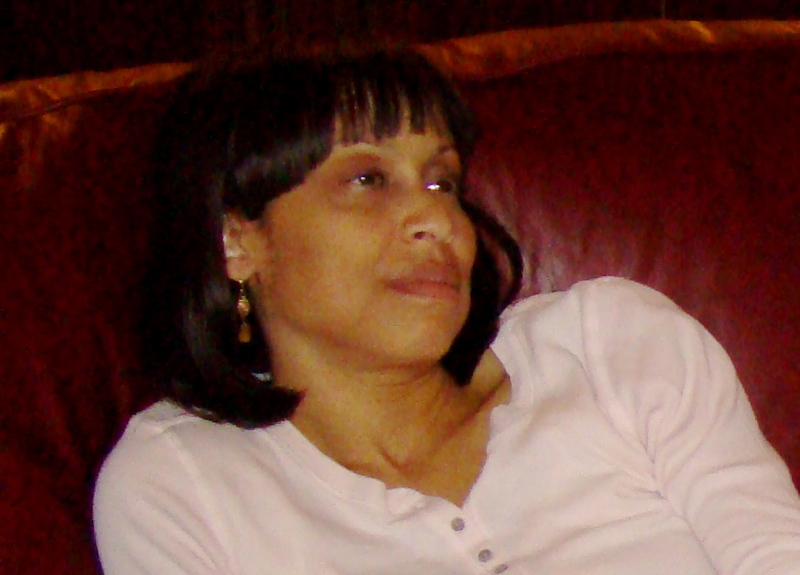 Would the silence be filled with “what if’s” and “missing my boy” thoughts?” I thought about Dawn’s words, “treat yourself to a massage.” She was the reason I had the courage to schedule the appointment. Dawn telling me to get a massage came from a different perspective. She and I became friends because of our shared fraternity. She lost her 15-year-old son suddenly, 4 years ago. He was her oldest child and she knows the heartache and pain that threatens never to subside. She also has told me that time will lessen the pain. I booked the massage in one of those, “before you change your mind” moments. The last time I had a massage was last May when I went with my dear friends on Mother’s Day weekend to a resort in Wisconsin to rest and regroup. I had attempted to back out of the trip saying to one of my sister-friends, “I don’t think I’ll be good company.” Her response was calm and quiet, “We’ll take you however you are.” Another sister-friend was more blunt but just as loving, “If we have to tie you up and put you in the car, you’re going. We love you and you don’t have to pretend with us.” They cared and watched over me that weekend. Every moment I knew their safety net was close by. Now here I was, almost a year later attempting true self-care. I sat in the locker room and cried for a few minutes. I then told myself that I’d try the massage and if I got overwhelmed I could always stop it and go back to my room. I was in control of what happens. My massage, my walks on the beach, the time away were restorative. My grief came with me of course and I made room for it. Tears came more than once as I thought of my family, and my beautiful boy who is gone. Excitement and happiness came with me as well. When Jordan died, I never thought I’d feel excitement again. I’m moving forward, breath-by-breath. For now heartache and a burgeoning happiness will have to reside together inside of me. I’m slowly learning that feeling happy doesn’t diminish my love for Jordan. Be good to yourself Jackie, it’s okay. I came home from my exercise class a few Saturdays ago to find Mark sitting tensely while eating lunch. He chewed mechanically as my daughters flanked him at our kitchen table. Both of them were having lunch as well but were animatedly talking to each other. As I wearily sat down to take another drink from my water bottle both girls started talking to me at the same time, “Daddy said we can have our own rooms.” I looked at Mark not knowing how to take this latest development. He looked at me with a mixture of exasperation and battle fatigue. Before I could speak Kendall said, “I’m gonna move into Jordan’s room.” “Jordan’s room,” how could she move into his room and it still be Jordan’s room? I told them their Dad and I would talk and figure out the best time for them to have separate rooms. I added, “It will probably be this summer or after your first semester of middle school.” They were in agreement with this plan and left the table talking about paint colors and how they would arrange their new rooms. I knew the day would come when my twin daughters would want and be ready for their own rooms. 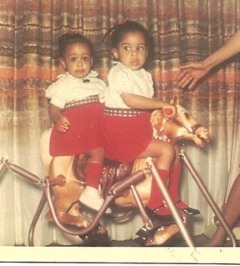 I had several friends with twins older than my own, and I looked to them for guidance as to what to expect with certain situations. I knew that my daughters wouldn’t always want to share a room. One day their individual needs for privacy would override having a comrade to face fear of darkness, or a partner for late night chats. Space for them to have their own rooms wasn’t the issue. I’d just imagined it and planned it so differently than how it has turned out. Jordan, I love you and miss you. R.I.P. You were so much in so little time. R.I.P. Jordan keep making moves. Your spirit lives on through those who knew you. Keep smiling up there, the world needs that. In many respect Jordan’s room will always be at our old house. That bedroom at “1116” was the one Jordan claimed and made his own. It is the room that took him from elementary school, all the way through high school and his first semester of college. It is the room I remember when I close my eyes and think of Jordan “at home.” I remember when Jordan was packing his things as he prepared for his freshman year at Amherst. He sat at his desk gathering items he planned to take with him. When Jordan was home he usually had music playing. Mark and I would joke that, Jordan came with a soundtrack. On this particular day, “This Christmas” by Donny Hathaway played as he looked over the dorm checklist he’d downloaded from the Internet. I remember peering into his room with a puzzled look and saying, “Dude Christmas carols in August? What’s going on?” His reply to me was straightforward, “Christmas songs remind me of home, and I just want to feel home right now.” I left his room that day aware of how much I was going to miss him but also feeling assured that he was ready to go. Our old house is on the market. It looks like we will close soon and it will belong to another family. Our old address was 1116. I went inside 1116 today. It was the first time I had been inside since Jordan died. 1116 was Jordan’s house. We moved there when he was six. Most of his childhood years were there. All of his teenage years were there. This house was the one he remembered, the one he called home. We didn’t move into our current house until January of 2007 when he was a freshman in college. He always said our old house was “his house”. I hadn’t been back to the house since Jordan died because I wasn’t sure I could walk in without having an ache for him bigger than the one I already am trying to bear. I didn’t know if I could. I didn’t know if I wanted to. Necessity finally trumped fear and emotion. I had to let the handyman in to ready the house for the final walk-through. My first thought was to open the door as I stood on the porch and point him upstairs. But, I opened the door walked in and felt-no pain, no fear. I showed him up the stairs and what needed to be done. When it was time to go downstairs he went ahead of me to get supplies from his truck and I told him I would be down in a moment. I turned down the hall and went into Jordan’s room. I walked directly to the far wall, kneeled down and read what he had written as a pre-teen. “Jordan was here”. I touched the wall because it was a place Jordan had touched. I wasn’t afraid. I was so grateful for what truth was written on that wall- JORDAN was here! 1116 has been demystified. There is no place that Jordan isn’t. He’s with me always. Picture I took of wall in Jordan's room-"Jordan was here"
My grandmother who I always called/call Nanny is the one person in my life that loved me unconditionally. Not everyone gets an unconditional love person but I was fortunate to have such that. I never felt judged by her. She always made me feel smart and pretty and funny and loved. She didn’t live with us year round, but always had her own bedroom at our house. She lived in another part of Ohio but on her breaks from being a first grade teacher, she lived with us. Holidays, spring break and summers she spent at our house. She also managed during the school year to visit once a month for a weekend. On many of her visits to relatives and friends my sister and I were her willing travel companions. She was the grandmother in the neighborhood that all of my friends called Nanny and more than one told me they wished she was their grandmother. When Nanny was in town, she was the person I went to at night when I couldn’t sleep. Sleep never came easy to me. Before I knew the word insomnia I had it. I would toss and turn and try to get back to sleep. As a young child, when Nanny wasn’t in town and I couldn’t sleep I would call, “Mama, Mama, Mama” until my mother bleary- eyed would come to my room and sleep with me. She would promptly fall back asleep and I would lie awake, grateful for Mama’s warmth but still wide- awake. When Nanny was in her bedroom next to mine, on my sleepless nights, I would climb into bed with her and whether she was asleep or not she welcomed me into her bed and talked with me until I fell asleep. In those late night talks she was the consummate storyteller. I learned of her elopement with my grandfather, of her pregnancy that ended in miscarriage. She talked about the son she lost who would have been a sibling to my mother had he lived. She told me about growing up in West Virginia as the oldest of ten. I know how she helped care for her younger siblings, and the antics and fights with brother and sisters closer in age. She talked lovingly of her “Mama” and “Papa” and growing up in a “God fearing” home and the importance of her faith. Because of her I felt I knew my grandfather who died at the age of 49 when I was a baby. Nanny had her surprises too as she whispered about her teenage years, and sneaking into the shed to smoke cigarettes, Camels to be exact. She told me why she didn’t like to attend sporting events, that is until my sister and I started playing soccer. She recounted the story of attending a Friday night basketball game, which was the social event for the town, and becoming so enraged at the cheating going on by the referee that she resolved never to attend another game because she didn’t like getting swept up in the mob mentality that ensued. She was a kind, generous, practical joker, hard to anger woman, who prayed every night on her knees at her bedside (a practice that Jordan shared even though my grandmother was the only one in our household who prayed in this manner). She loved me like no one else ever has. My memories of Nanny are rich and in Technicolor. I talk to her often, and carry one of her handkerchiefs in my purse, just as she did. Nanny had hundreds of handkerchiefs, some she bought, some she made and/or embellished with crocheted lace around the edges. I carry a handkerchief to remind me of her love, and the strength I gained from her. Our talks went both ways. She was my confidante as well. We talked weekly when I was in college. She would pray with me over the phone when I worried about a test or was feeling overwhelmed and homesick. The two scriptures, Psalms 121 and Philippians 4:13, will always be embedded in my brain and heart. She always asked if I was reading my bible and reminded me to pray. Nanny experienced a stroke my sophomore year of college which affected her right side and her speech. She was 69 years old at the time and still teaching. I remember coming home to see her and visiting her during the summer as she regained strength at a rehab center. Even after her stroke, I would lay my head in her lap as she sat in her wheelchair and she would stroke my hair with her “good arm” as she called it. Our conversations became limited but her love for me was never stronger. She was the first person I told that I was getting married, even before my husband of 21 years knew. She and I sat together when I came home for our annual family reunion. I told her about Mark, the man I’d been seeing for two weeks saying, “I’ve met the man I’m going to marry. He doesn’t know it yet, but he’s the one.” Her response to me as she smirked and shook her head positively was “Hmm.” I’d never talked to her about a boyfriend before so she trusted my assuredness. Her love for me was truly unconditional as she weathered my teenage years with more grace and patience than I deserved. I remember once when she was staying with my sister and I while Mama and Daddy were away for a few days. Nanny was already up when I came into the kitchen to get breakfast before going to my summer job. “Want me to fix you something?”, she asked. I looked nice. Compliments were scarce during my gawky teenage years especially about the way I looked. She was certainly changing the morning routine. She had startled me out of my mood. There I sat thinking of ways to make her leave the room and she said the one thing that was so unexpected for me as a teenage girl. I felt her graciousness and love for me and looked up from my food to fully embrace and exchange the love she offered. I do know that after her compliment I came out of myself and talked to Nanny and let her into my day. She had to have noticed my “ugly” (as she would have called it) behavior and the way I was acting towards her. She looked past it and saw the granddaughter that she loved. I think Nanny telling me I looked nice was the first early morning compliment I had ever received, at least that’s how it felt. I knew she loved me. One of my most cherished memories is the first time Nanny met Jordan. Mark, Jordan and I came to Ohio for Jordan’s first Christmas and what would be Nanny’s last. As we walked into the family room with me holding Jordan, Mark captured every moment. I had already told Mark to have the camera focused on Nanny. 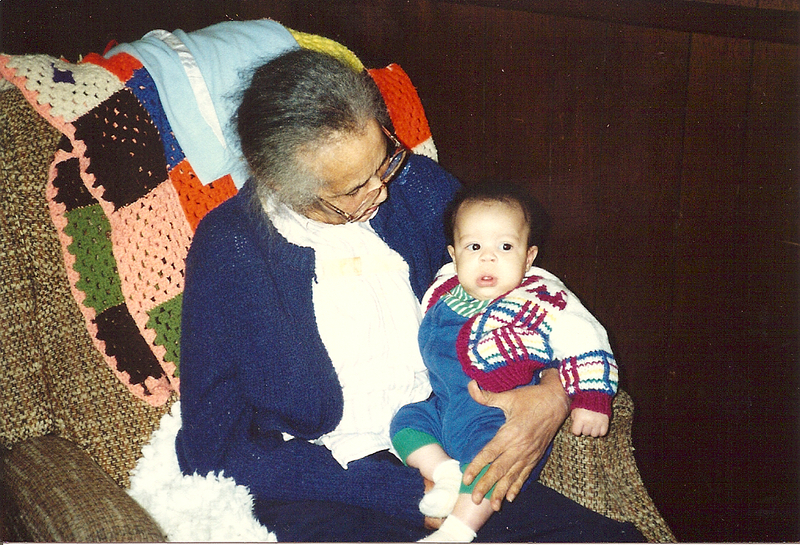 I wanted to forever be able to look back at her face the first time she saw her great- grandson, and the first time she held him; a permanent record of these two generations touching and being connected. Nanny reached for Jordan with her “good arm” and I placed him in her lap. He sat and looked up at her expectantly and she looked down and at him with love and just hummed to him. They were both content. I was so relieved. Nanny meeting Mark and being at my wedding had filled me with security. Having her hold my son, her great-grandson completed a circle that I desperately needed to form. Nanny and Jordan meeting for the first time. That Christmas Nanny made a gift for Jordan at her Adult Day care class. The gift was a playhouse constructed from plastic board through which she wove green, brown and yellow yarn. I remember how nervous she was as I opened it for Jordan. I looked at it and immediately showed it to my son. Once again Nanny’s love showed in every part of her gift. I watched the anxiety on her face ease as she saw the joy I had in showing my son the homemade gift that only Nanny could have given him. Even as a young boy he recognized the significance of a gift from a great-grandmother he knew only through stories and pictures. He treated the playhouse with care and made sure that it was never damaged. Jordan played with it as a little boy and kept it on a shelf in his room when he outgrew it. To this day it looks as good as it did when Nanny made it for him. It was a gift that Jordan cherished until he died. After dropping off Jordan, Mama and I went straight to the hospital. When we opened the door to her room, I was glad Mama knew best and was there with me. Seeing Nanny in the bed, eyes closed, with the hum and rasp of the ventilator as the only sound in the room brought me to tears. I went to her bedside, kissed her, and whispered in her ear how much I loved her. I then pulled up a chair as close to her bed as I could and talked to her the way she had talked to me so many nights. I told her about her great-grandson, I talked about my husband, grad school, and all the things she would have asked about if she were able. After seeing Nanny in a coma and hearing the prognosis from the doctor, I knew as I traveled back to California that the day would come, when I’d get the call telling me that Nanny was slipping away. When Mama called to tell me that the doctors didn’t know how much longer Nanny had to live, Mark, Jordan and I flew to Ohio so that I could see her for what would probably be the last time. Mark drove me to the hospital and waited in the hallway as I said goodbye. I went into her room to spend time with her by myself and she and I talked. I had what would be my last words with Nanny and I knew she could hear me. I told her that if she could understand me, to blink once for yes and twice for no. I asked her if she understood and she blinked once. I leaned down next to her and I told her I knew she was tired. She blinked once and then a pause and then another blink. She was telling me she was tired. Then there was a flurry of “yes” blinks. I told her I understood how tired she was and that it was okay to go if she was ready. She blinked once again and I stroked her hair and tried to comfort us both. I wanted her to feel some of the unconditional love that she had surrounded me with. “Nanny I love you. It’s okay to say goodbye.” She blinked at me again and I turned to leave. Mark came into the room leaned down and kissed her goodbye. I knew I’d probably never see her alive again. I didn’t want to go but it was time for me to go back home. I knew she loved me and I could feel our connection even though she couldn’t move and the fluttering of her lids is how she said goodbye. At the other part of my family circle was the loss of my beloved son. Jordan left in the “blink of an eye” and I didn’t get to say goodbye. The thought that I couldn’t be with him as he took his last breath will always haunt me (I know it will). I take comfort in and have expressed my gratitude repeatedly to Jordan’s friend Edward for pulling him from the mangled car, taking off his own t-shirt to apply pressure to the cut on Jordan’s head, talking to him until the paramedics came, and for crying out in anguish when the sheet was pulled over Jordan’s head. Edward’s cry was my cry, Edwards care and words to my boy were the exact actions I would have taken. He fulfilled the role of friend, but also caretaker. He cared for my boy the way I would have if granted the access to be there. Jordan didn’t die alone. “Home”, Nanny wanted to “go home” to be with her Savior and have eternal life, Aunt Frances, Nanny’s last living sibling cried out just last month“I want to go home” as pain filled her body and 90 years on this earth felt like enough. I call out, “Jordan come home” and I want him on this earth, sitting next to me, going back to school, leading by example with all the energy and plans 19 years of life give you. There are so many ways to define home. My heart searches for the right definition of home to ease my worry and bring peaceful sleep. Jordan is home with you now Nanny. I know you are taking care of him with unconditional love.